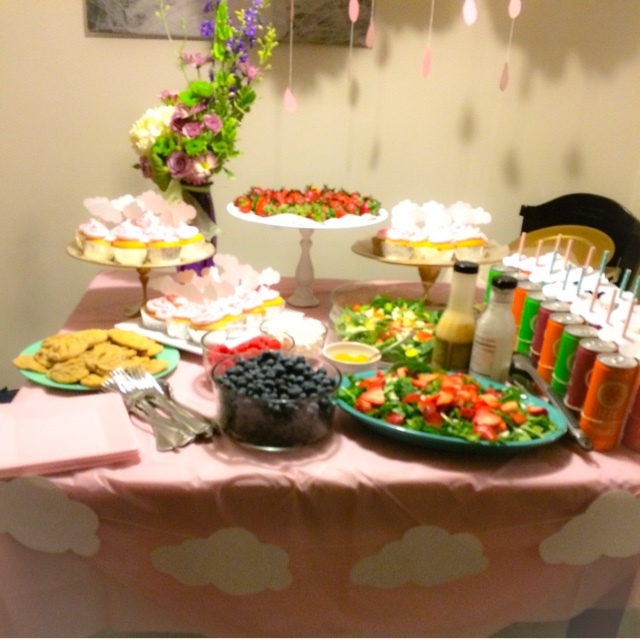 Today I thought I'd share with you a few details from a recent baby shower I threw for a new mother-to-be!! There are about a bajillion different themes to choose from when throwing a shower, but I ended up going with a "rain shower" theme! Just made sense for a baby shower, am I right?!? It was an absolute blast prepping for and even more fun once the ladies arrived! Here are a few details! 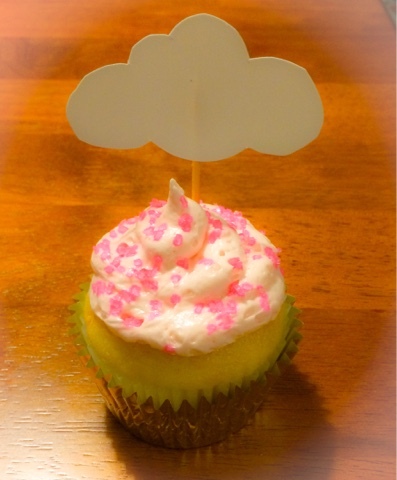 So this rain cloud was made out of am tissue paper from the dollar store and pink paper that I already had on hand! It probably cost less than a dollar to create in all! 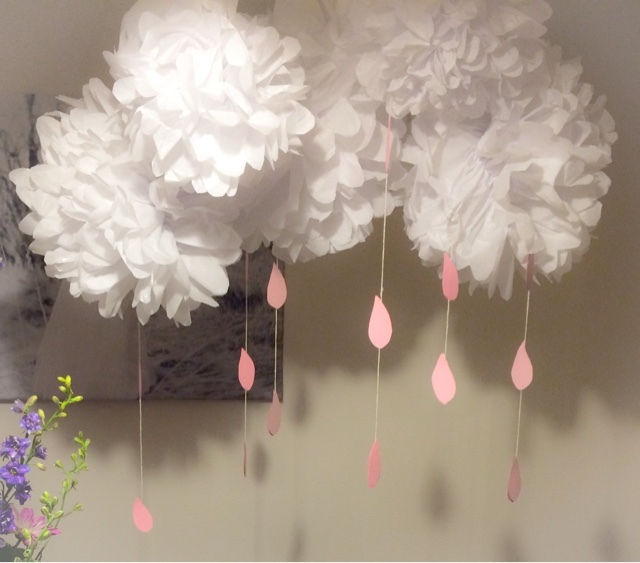 I used these directions on how to create tissue pom poms. 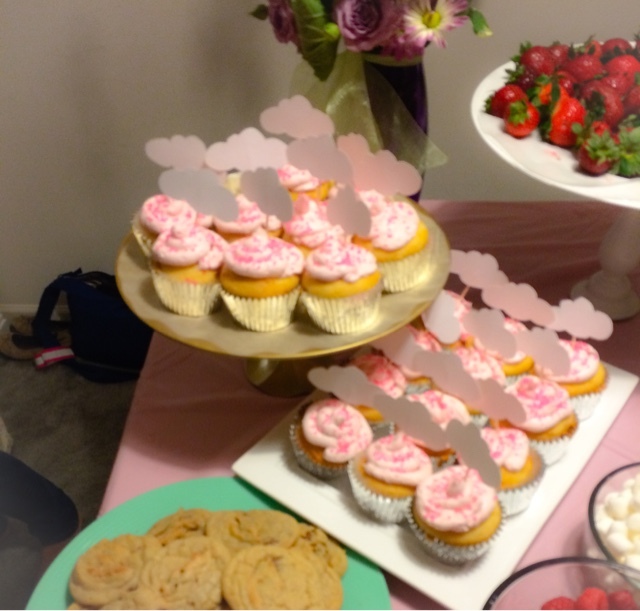 I was thrilled to put the cake stands Andrea and I made this summer to use and it finally paid off having 4 different sized stands for the party! 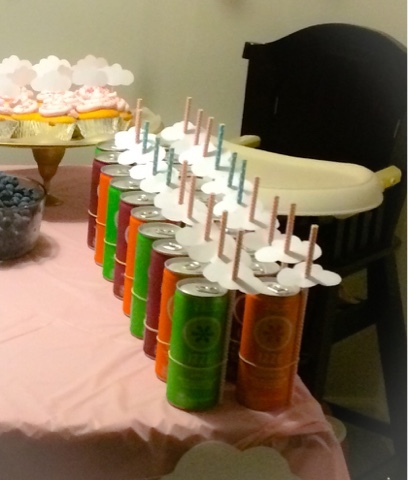 For the drinks I grabbed some delicious Izzie drinks and found a super cute idea for the straws on Pinterest. I traced out little clouds, hole punched them, and slipped some cute paper straws in! 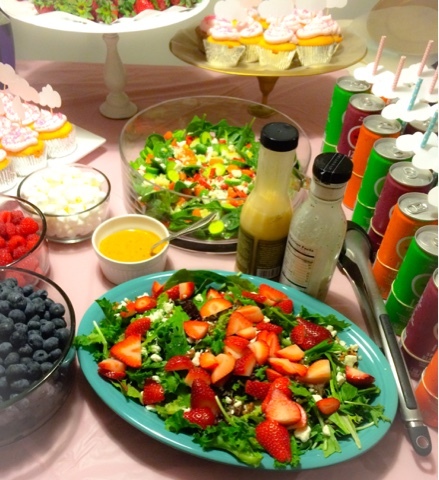 Delicious food is a must for a baby shower. Am I right?? Super grateful for fabulous friends who made some delicious recipes to share!! 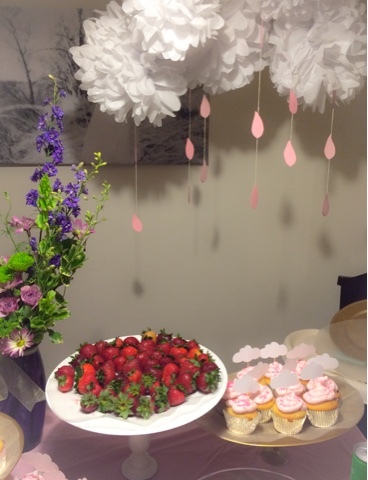 I used the same little cloud cut out for the cupcakes as I did for the straws! I taped them onto toothpicks, and stuck them on in! I definitely felt like it connected the food to the rain shower theme! Overall, this shower was an absolute blast to throw and super easy!! I'm officially a firm believer in tissue pom poms!